Two souls become one on your special day. Celebrate this glorious event with Personalized Champagne Flutes and your finest bottle of bubbly. 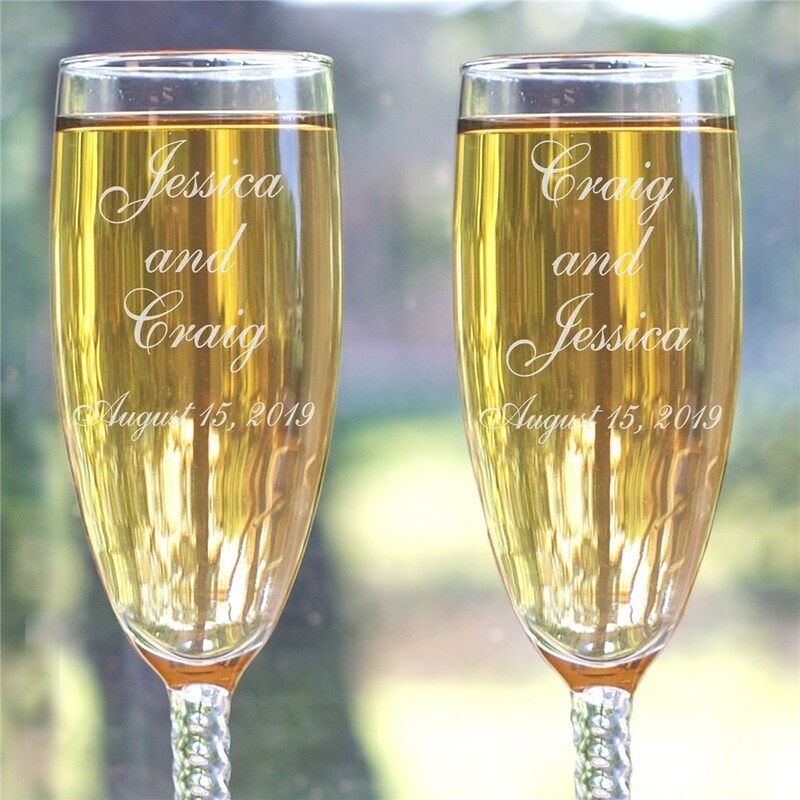 A unique & elegant personalized wedding gift they both can enjoy for years.Your Engraved Wedding Champagne Glasses are available on Angelic Twisted Stem Toasting Flutes. The Personalized Champagne Flutes feature 12 knotted twist stems and measure 8 1/4”H. Champagne Flutes are made in the USA and hold 5.75 ounces. 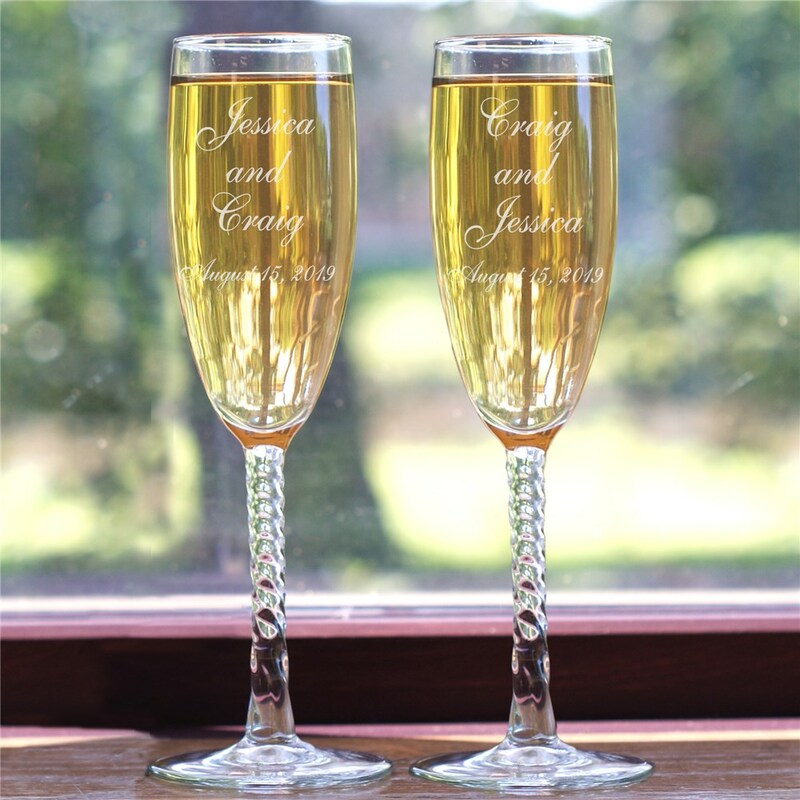 Personalize your Wedding Couple Flutes with any bride and groom's names and wedding date. Personalized flutes have the name order flipped to whos is whos.